WASHINGTON – Recently, the Joint Center for Political and Economic Studies commended U.S. 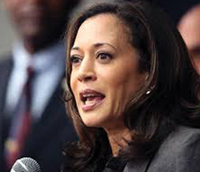 Senator Kamala Harris (D-CA) for appointing Deanne Millison as her legislative director. Sen. Harris’s office announced the appointment earlier today. Millison joins two other Black women—Courtney Temple in the office of Senator Thom Tillis (R-NC) and Zephranie Buetow in the office of Senator Gary Peters (D-MI)—who serve as legislative directors in the U.S. Senate. African Americans make up 13 percent of the U.S. population but just over two percent of U.S. Senate top staffers (African Americans hold eight of the approximately 340 chiefs of staff, legislative director, communications director, and full committee staff director positions). Millison has served as Deputy Director of Legislative Counsel and Government Affairs for the Mayor of Chicago, Legislative Director for Congresswoman Maxine Waters, counsel on the U.S. Senate Committee on Homeland Security and Government Affairs, and as a lawyer at Jenner & Block. She is a graduate of Harvard Law School. In 2015, the Joint Center issued a report, Racial Diversity Among Top Senate Staff, finding that African Americans accounted for 13 percent of the U.S. population and 22 percent of those who identified as Democratic voters, but less than 1 percent of top Senate staffers. Last December, the Joint Center launched an interactive tool to track top staff hires by newly-elected Members of Congress. According to the Joint Center’s tool, none of the nine new U.S. Senators have hired a Black staffer as chief of staff, legislative director, or communications director.